Catherine has the sweetest smile! About a year ago I went to Nicaragua for the first time on a mission trip, and before I even left I knew that God was calling me to come back again. I was inspired by the way communities are working together to love, feed and educate children despite a great lack of resources. El Ayudante in Leon welcomed our team in with wonderful hospitality, and we were able to see all of the ways that their staff are empowering churches, schools, families, and individuals in the communities of Leon - with support from international mission teams. Why Nicaragua? There are so many places around the world that have need, and often the places that get the most media attention get the most help. When disasters happen, like the earthquake in Haiti, there is often an initial outpouring of aid for a few years. This is a great thing! But long-term partnerships are needed to help communities around the world improve the quality of life for their people. Nicaragua is a country who is still recovering from political unrest and violence within the last few decades, and while the poverty there doesn't look like what you see in Haiti or Somalia, it is there. We visited neighborhood after neighborhood where families struggle to put food on the table, and saw how people in the community scraped together funds to feed children a daily meal in school. Not only does this ministry of feeding guarantee that each child will get at least one meal a day, but it also provides an incentive for families to send their children to school. One of our most emotional visits was to El Jardincito Preschool, a school organized by a lady known as Grama Ramona. 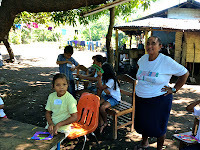 El Jardincito means "the little garden," and Grama Ramona started this little school out under the trees - she had no funds and no building, but she wanted to make sure that the children of the barrio had food to eat and were prepared for school. 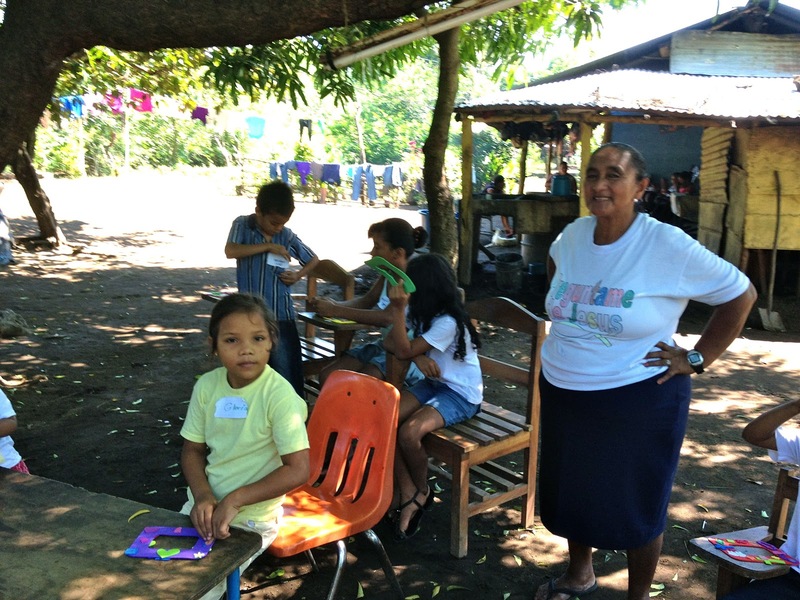 Thanks to the partnership with El Ayudante and help from other mission teams, El Jardincito now has a schoolhouse and Grama Ramona is given a stipend for expenses. 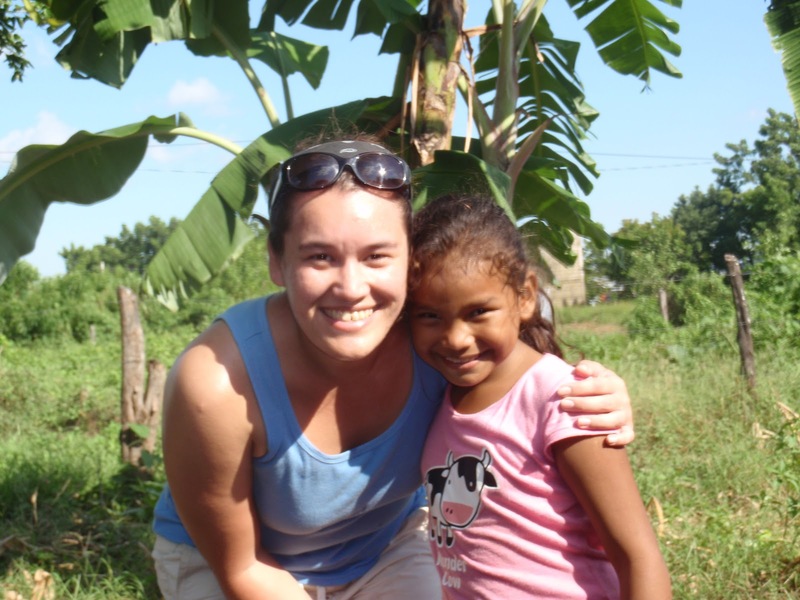 We were moved by the love between this teacher and her students, and how much she had done with so little resources. In the midst of our own economic uncertainty, I was struck by how much these communities can teach us about providing for those who have need. I have seen firsthand how far our gifts of money and supplies can go when we support community efforts in other places. Bit by bit, churches, schools and community organizations - with our support - can work together to improve conditions for families and make sure that the next generation has a better chance at getting out of poverty. In our next trip we are going to visit more churches and schools like El Jardincito to support their efforts and gift supplies and funds. We will also do one or two work projects either at El Aydante's campus or at a home or organization in the community. Plus, since we will be there over New Years' we hope to provide a party for the El Ayudante staff and their families - a chance to thank them for their work and share a cultural experience. I am committed to paying at least half of the $1,500 trip cost myself, but I would appreciate financial support from anyone who feels so led. You can give online at my Crowdrise page. Please keep the team in your prayers!